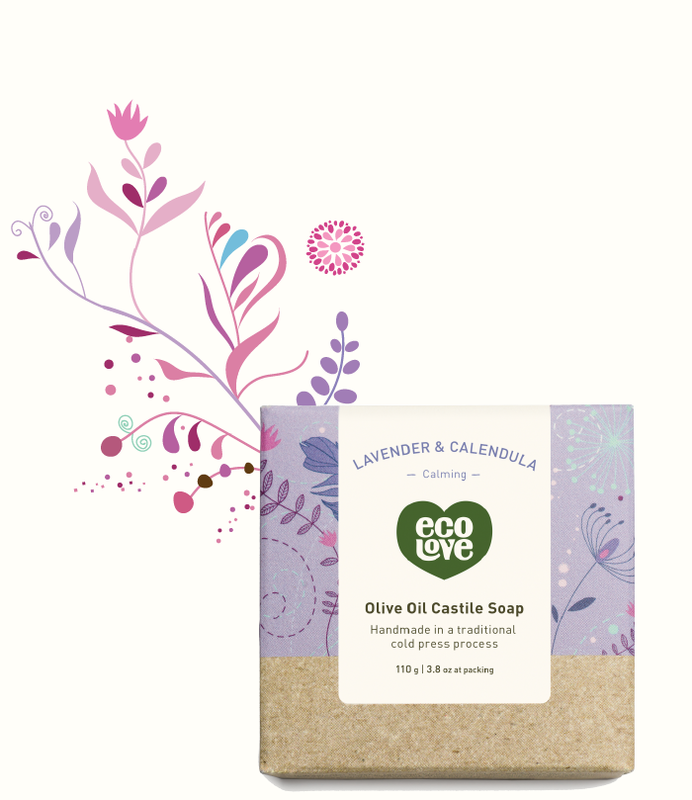 ecoLove soaps are based on organic olive oil and enriched with Shea butter, coconut oil, wheat germ oil, and cocoa butter. Each bar is handmade in a traditional cold press process. Organic Olive Oil, Water, Coconut Oil, Castor Seed Oil, Palm Oil, Soybean Oil, Carnauba Wax, Shea Butter Fruit, Calendula Oil, Glycerine, Cocoa Seed Butter, Fragrance, Lavender Oil, Allantoin, Wheat Germ Oil, Eucalyptus Oil, Cornstarch, Eucalyptus & Lavender Petals grounded.